San Diego, CA (Jan. 16th, 2018) Renegade Game Studios and Hunter�s Books have announced a partnership to co-publish RPG projects. 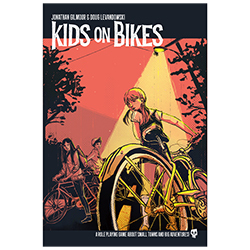 Hunter�s Books is a growing force in the RPG community with Kids on Bikes, Outbreak Undead, and The ABCs of RPGs. Renegade will help bring these popular titles to a larger audience through increased hobby retailer distribution.